City slickers looking for a picnic spot to just unwind, the Hirekolale Lake in Chikmagalur is one untouched spot that you can drive down to. Splendid views and a slice of nature are an added bonus. 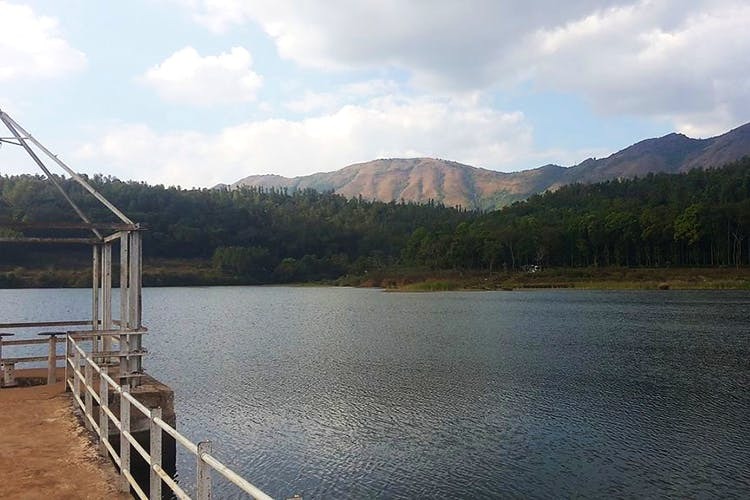 The man-made lake, which is about 10 kilometres from Chikmagalur township, was built to supply water to the town and for all agricultural needs in the surrounding villages. With just one viewpoint, all you see are vast forests and the gorgeous Mullayanagiri Hills. It’s postcard perfect. You can bring your dog here too and let them run around and soak in some of that fresh air. Drive over the narrow bund or park your vehicle just before it and walk down to explore the lake. There isn’t much to do in terms of activities —no boating or swimming — but early mornings the place is perfect for a jog, or a picnic with a view. Since there aren’t any dustbins around, be sure to clean up afterwards. Oh, and come monsoons, the place can get quite slushy and muddy, and even slippery, so be careful. Bring your camera along with you for landscape photos; although if you are looking for animals, you will only find cows and goats. When there, make a trip also to Kemmangundi and Seethalayanagiri. Kemmangundi is about 50-odd kilometres from the lake and it’s home to Hebbe Falls. A few of the trekkers we know suggested that we hit up Hebbe Falls first and then drive down to the lake to catch the sunset. We hear, the sun setting behind the hills paints a rather beautiful picture.